Travertine stone wall panels in shower, rusted steel, porcelain tile floor, heavy glass shower door. 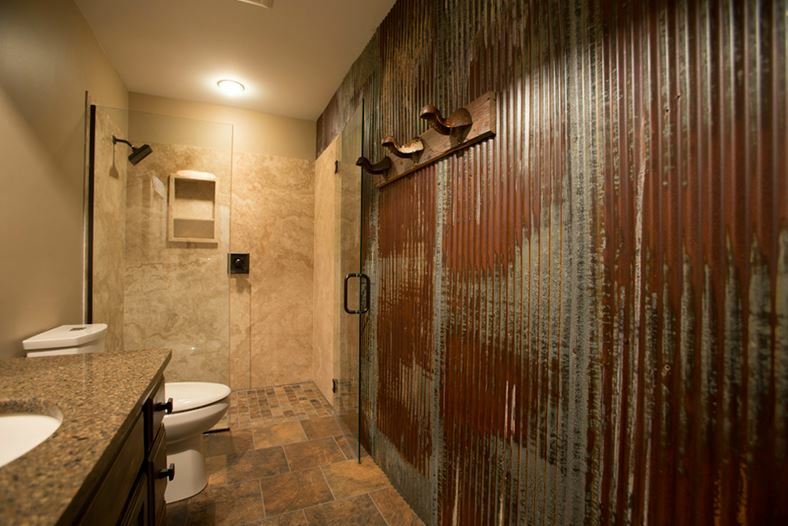 Totally rustic and rugged, this is definitely a bathroom fit for a man…young as he may be…he will definitely grow right into it. You can just feel the sense of coming off the ranch, yet have no doubt you are in a polished place. We enjoyed the custom work required to pull this design together. 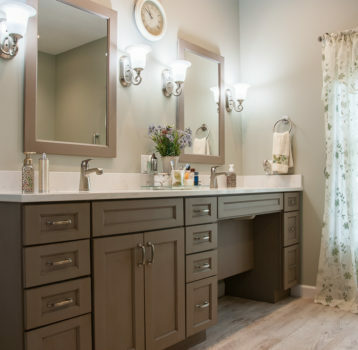 From organically rusted steel walls and pounded steel mirror frame, to the faux weathered vanity and complementing light fixture, all in style and are perfect details on the earth toned tile on floor and natural stone shower wall panels. 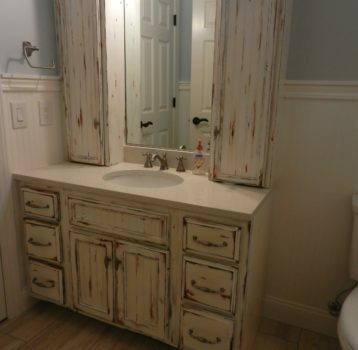 So much personality, you will forget this is an average size bathroom!